Rochester Veterinary Relief Services. For the next two years she worked at nearly 20 area practices as an independent contractor. In 2003, she started Wiley’s Ark Animal Care, which was actually located in 630 square feet of her home. In 2005, the business was flourishing and moved to 44 State Street, a refurbished 2200 square foot building in the commercial district in Holley. The building had previously been a liquor store, a dental office, a computer store, a gift shop, and many other businesses. With the help of her husband, Kerri, and several friends and family members, she rehabilitated the entire building. Wiley’s Ark Animal Care became incorporated in 2007 and is now Wiley’s Ark Animal Care P.C. The business continues to grow each year. As of June 2016, we have 3400 clients. Our smallest patient is a 25 gram gecko. Our largest patient is a 195 pound Mastiff. Some of our clients have one pet others may have forty or more. 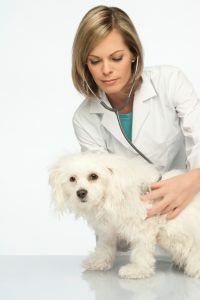 Patients we commonly care for are dogs, cats, rabbits, and select exotics. Wiley’s Ark Animal Care P.C. Copyright 2018. Wiley's Ark Animal Care P.C.. All Rights Reserved.